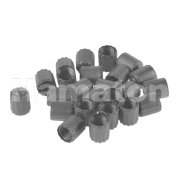 Hamaton`s range of TPMS Consumables includes packs of 100 TPMS valve caps and valve cores; an essential purchase for tire repair shops whom service TPMS sensors. A box of 100 TPMS valve caps. A box of 100 TPMS valve cores. 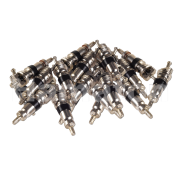 A bag of 100 black teflon sealed valves cores. suitable for TPMS.